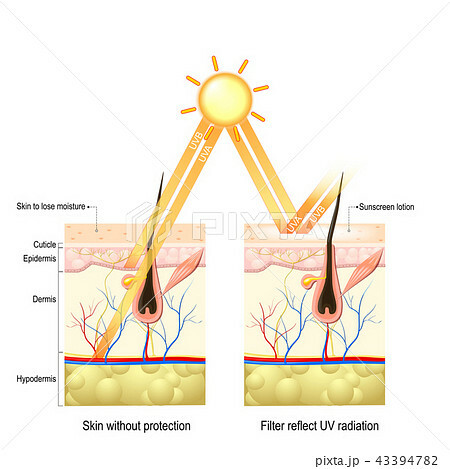 Protect human skin from UVA , UVB rays. without protective cream rays penetrate deep into skin damaging elastin and collagen fibers, skin loses moisture. The sunscreen lotion protected the skin from harmful radiation.